We know wrapped loops are very secure. But they also have another function. 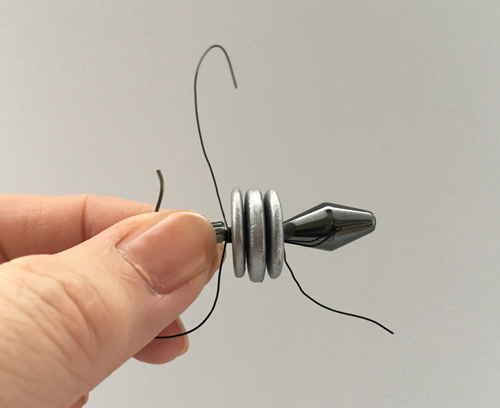 You can tighten, say, a beaded dangle so the beads do not move. However, it is not so easy with simple loops. I have earrings from a jewelry set I made years ago which I haven't worn. 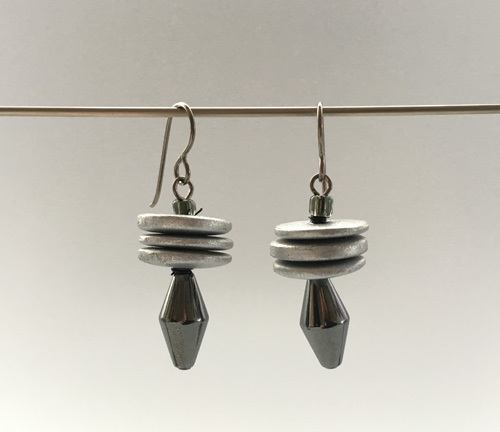 I had used niobium head pins for the hematite/hemalyke and metallic painted wood discs design. I was reluctant to redo the design as that might distort the perfect loops or at worst, waste the headpins. 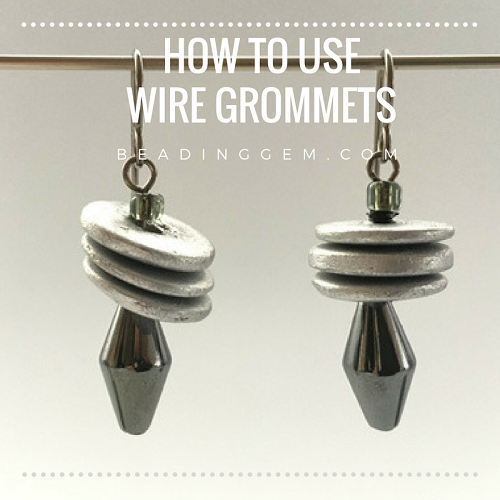 The easiest solution is to create wire grommets. 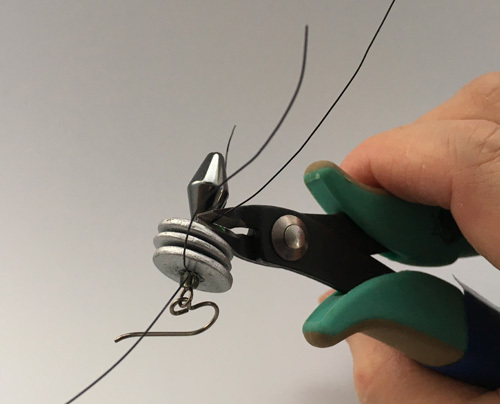 Basically making a tightening ring by winding wire around the headpin. I used black craft wire to match the design. I ended up doing another wire grommet above the set of wooden discs to tighten up even more. 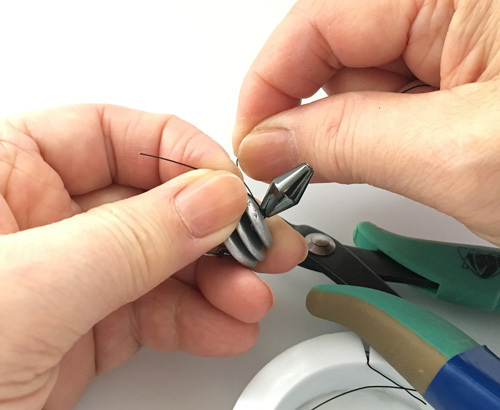 The trickiest part is to trim the wire ends properly and to tuck down the ends. Almost there... As you can see from the earring on the right (below) a wire end is sticking out! The headpin on the right earring also needed straightening out. So once I corrected those issues, I was good to go! 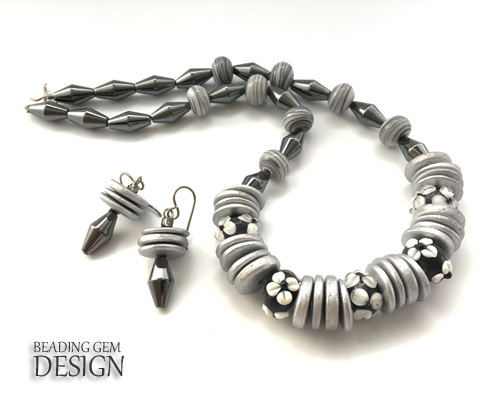 Here are the earrings which go with the hematite (really hemalyke) and lamp work beaded necklace. 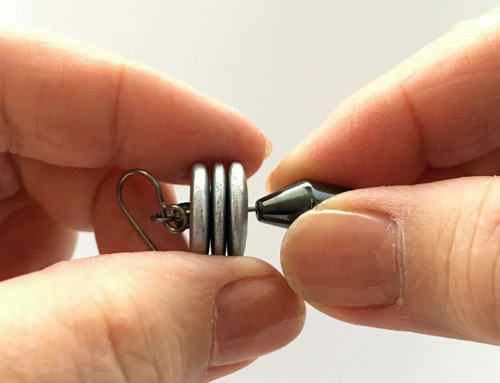 I have used my earrings as an example but there are probably other situations which could be corrected with this method. What do you think? I agree crimps can work for some situations when there is room. In this case, I had no choice but to use wire. Great tip! I have a few pieces I will be using this method on immediately. Glad I could help!! Seems a shame to be unhappy with some floppy designs! Aren't you the smart cookie! This is such a great idea Pearl! It's a simple solution to an annoying problem. I can see it will come in handy for a lot of people's design problems. It's certainly one of those palm to the forehead solutions! tyvm great or earrings or pendants! You continually find or create wonderful and helpful ideas. Thank you so very much. No more wasted head pins for me, or at least less of them.